A lot of people give suggestions on how to improve your website or blog. Whether it is via SEO or design suggestions. It is true that not many tell you what is going to destroy your website. There may be a couple of these that are straight forward but when dealing with clients it can become very obvious that some of their ideas on how a website should function are modeled after MySpace and similar monstrosities.Intrusive AdvertisingJust when we all thought popup windows were dead forever, they start making a come-back. It drives me crazy to do the first click on a web site and immediately a popup popups up to greet you. I have never, ever, clicked on a popup with the intention of buying or signing up for anything. The other intrusive advertising are in-window popups and scrollers. The worst kind are flash advertising with sounds. It's important to not distract your user with advertising. Be subtle about the advertising and interested users will choose to check out a link or banner on their own.SoundNot all sound is bad, but for the most part users prefer to opt-in to sound being played, especially if they are using their computers to listen to music they have chosen. If you do decide that the music should start up right away, give a quick and noticeable way to disable the sound for the user. It drives me crazy to go to a website that plays music, most of the time I will close out of it immediately and find another place for what I was looking for.AnimationI’m not talking about flash, I’m talking about animated gifts, mouse trails and “glitter.” I don’t see as much of this as I used to on the web but I have had clients request such things. It is important to end that conversation right there with your client and explain to them how the web has advanced since 1996.Old InformationIt's imperative that if you have a CMS that you use it to update your website as often as possible (actually, even if you don't). If you feel there isn't much news worthiness in your line of business, your website could be displaying industry-related news. With old content, you are not going to be getting many hits, so you should update your website regularly.Bad TypographyYou want to avoid the bad cliché fonts such as Comic Sans of course. Beyond the well-known bad choices for typefaces you want to ensure that there is a healthy, but not too healthy, contrast between the background color and the font color. You also want to take into account how big your typeface is set at, you may be able to read it just fine but keep in mind what kind of audience will be visiting your site to ensure that they can read it just as easily. You also want to test increasing the font size on your site to see how it holds up to others browsing the web at an increased size.Screen ResolutionYou may have a 1920x1280 resolution on your computer but not everyone has that large of a resolution. It is important to check your site on other resolutions to see how it holds up and what it looks like. The most common size right now is a toss up between 1024x768 and 800x600. That doesn’t, however, take into account that not everyone browses the web full screen. I browse full screen but several of the people I work with, in the web design field, don’t maximize their browsers. So they may be browsing at 1280x1024 or 1024x768 but their actual screen size for your site may be much less.Bad NavigationThis one is very important, this is how your users navigate your site. The usability of your site is paramount when it comes to design decisions. If users can’t figure out how or where to get their information on your site they will look elsewhere. Be sure that the navigation for your site is expansive and relevant. Jakob Nielsen has said that the more navigation available on the page the better chances the user is going to find a relevant link to the information they are interested in. Users don’t mind skimming, they are actually pretty good at it as long as you make the navigation as prominent on the page as possible.Load timeYou can have the best content on your subject on the internet, with a great design… But if you don’t properly optimize your site users will grow tired of waiting for pages to load. You want to take several steps to ensure your site loads as quickly as possible. The top ways you can do this are by optimizing your images properly for the web so that the files are as small as they can be without losing visible quality.You also want to try your best to minimize HTTP requests on your site, especially if the site is popular. Another thing you can do is to use various methods of caching your pages, especially for dynamic sites. Website AccessibilityThis one is often looked over because there aren’t many in the web design field that are disabled. It is, however, important to ensure that you are accommodating as much as you can those that are. It can be very frustrating for people with sight disabilities to come across meaningless alt attributes, undeclared navigation and misleading content flow. Understanding how screen readers work is the first step to becoming a better web designer and making your sites accessible to people that are visually impaired.Contact InformationEvery website needs to have an easy method to allow users to contact them through. You need at least two ways for users to contact you that are easily found and well marked. Best-case scenario is three ways to be contacted but not all websites require that level of interaction. The more ways that you provide for contacting the better your site is viewed to the world.Setting up a contact form and providing an email address are the first two steps to becoming available to your visitors. For the websites it applies, putting your phone number and possibly your address in the footer or even on a sidebar is just as important. Make sure that all of your contact information is up-to-date also, for most websites this is how clients contact you and it is impossibly important you make it as easy as possible for them by whichever means they feel comfortable with. When a new visitor comes to your website for the first time an initial impression will be formed pretty quickly. A good first impression will drastically increase the chances of that visitor returning again, and a bad first impression will be difficult to overcome.This list looks at 21 factors that will influence your visitor's impression within moments of arriving at your site. These are just some of the factors, not a comprehensive list. Feel free to list some others in the comments that you think should be included. Here they are, in no particular order.1. Load Time – Most of us are very impatient and slow loading pages will not make us want to return. On the other hand, pages that load quickly will encourage visitors to navigate through your site knowing that they won’t have to wait very long for each page to load.2. Error Messages – If new visitors to your site are getting error messages and are unable to access your site, they’re not going to be impressed and they won’t be back. There are a number of different errors that can occur. BlogStorm recently published an article Why Businesses Need a Website that Works, which takes a look at one unsuccessful website with an obvious problem.3. Colors – The look of your site will obviously be a factor in your visitors’ first impressions. The colors of your website can have a huge impact on the overall attractiveness of the site. Choosing the right color combinations can be difficult, but fortunately there are a number of online tools that can help. For a list of resources and links to some articles on the psychology of colors, see Find the Perfect Colors for Your Website.4. Logo / Branding – Another factor in the overall look of your website is the logo and branding. Most importantly, the logo should help to brand your business in the way that you want visitors and customers to think of you. For more information, see What Makes a Great Logo? from David Airey.5. Header Images – Dominant header images are often used and they can have a strong effect on first impressions. Personally, I’m not a big fan of large header images for blogs, but some blog designers use them with great success. I like to see the content start higher on the page, but many visitors don’t share my opinion (I’d be interested to hear your thoughts in the comments below). Nate Whitehill uses a very attractive header image on his blog to make it stand out.6. Typography – A somewhat subtle influence is the typography and fonts. A change in the typography may not be a drastic change, but it can make all the difference. See Five Simple Steps to Better Typography by Mark Boulton for a more complete look at the subject.7. Layout – One of the most important design elements is the layout. Whatever layout you use should draw the reader’s attention to those items that are most important. 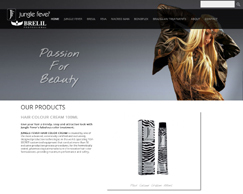 Layout can be used not only to create an attractive design, but also to make the site easy for visitors to use. While most websites use a fairly standard design, a good way to make your site stand out is to use a more creative layout. Of course, you’ll want to make sure that your creative layout adds to the effectiveness of the website rather than detracting from it.8. Advertisements – One of the easiest ways to make a bad first impression is to have a website that is full of advertisements. Most of today’s internet users have come to expect advertisements to be present on most websites, but too many ads, the wrong type of ads, and poor ad placement can be a big turn off for visitors.As a general rule you should avoid placing ads in places that will interfere with visitors being able to read your content, unless the goal of your site is to make money through ad clicks. Animated ads are also a touchy subject as they can also easily distract and annoy readers.If you use advertisements that are relevant to visitors and are kept out of the flow of your content, visitors generally will not mind.9. Your Reputation – Some of your first-time visitors will be familiar with you or your website before they even visit. In many cases they may have read about you on another website that links to you. This is especially common for bloggers. If that visitor has read a positive recommendation of you before visiting your site, you will have already developed a little bit of a reputation in the mind of that visitor that may affect the first impression. This can also work the opposite way if they have heard or read negative things before visiting.10. Ease of Navigation – We’ve probably all been at websites that looked like they had great content that we wanted to read, but just couldn’t find what we wanted. I’m not sure if there is anything more frustrating on a website than poor navigation. On the other hand, well-constructed navigation can help visitors to have a very positive experience on the site.11. Clarity of Purpose – New visitors should be able to very quickly determine the purpose of a website. Many sites effectively incorporate this into their branding by using a descriptive tag line that sums up the site’s purpose. About Us pages are also helpful for communicating purpose.12. Unprofessional Items – Some items like low-quality animated GIFs and hit counters can give a negative first impression. Generally anything that makes your site look like it was designed 10 years ago should be avoided.13. Quality of Images and Photos – It’s amazing how much impact a high-quality photo or graphic can have on a design. Fortunately, there are plenty of resources online for getting high-quality, low-cost photos, and some are even free. Searching for a good free picture may not be worth the time it takes when you can find one faster and pay $1 or $2. For a list of places to find photos online, see Stock Photography Resources.14. Accessibility – Accessibility is a big buzzword in web design. The reality is that not all of your visitors will fall into the mould of the average visitor. Some will have handicaps, some will use older browsers, some will have slower connections, etc. If your website is not accessible to a visitor it’s almost guaranteed to create a bad impression.15. Popups and Pop-unders – Most internet surfers now have some sort of popup blocker, but some websites are still using them. Most visitors don’t appreciate popups that aren’t blocked, and this can create a bad impression. Some sites, however, still use popups effectively, so it’s something that you will have to weigh the pros and cons.16. Video and Audio – As more and more internet users have high speed connections, audio and video will continue to become more common. Some visitors appreciate these elements and it’s evident by the success of such sites as YouTube. A general rule with both audio and video is that it should not start automatically without the user choosing to have it start.17. Associations – Visitors may be new to your website, but they may be impressed with associations to someone or something they know and respect. An example of this is web hosting provider Media Temple. Visitors to Media Temple’s website will see testimonials on the homepage from Nike, Sony, and Starbucks. If that visitor is wondering about the competence and capability of Media Temple, associations with these large, well-known companies will have a huge impact on the first impression. Another example is a website displaying a badge that shows membership in the Better Business Bureau.18. Quality of Content – Of course quality content cannot be left off this list. While content may not have an instant impact like some of the factors that relate to the design of the site, it will have a significant impact on visitors that stick around for a minute or so. This is a big factor especially for blogs. A first-time visitor that finds really great content will remember their visit in a positive light.19. Tone – In addition to the actual content, the tone of the content can also have an impact on first impressions. I’ve been on a few blogs that have strong content, but an unnecessarily negative tone by the blogger created a poor first impression.20. Number of Comments and Trackbacks – New visitors to blogs will often notice the number of comments on posts. A lot of comments and trackbacks show that other readers are involved, and it indicates that this is likely a valuable resource. On the other hand, seeing no comments often causes the visitor to wonder how many other people are reading.21. Flash Intros – Positive or negative, flash intros will impact the first impression of visitors. I’m not a fan of flash intros on most websites. 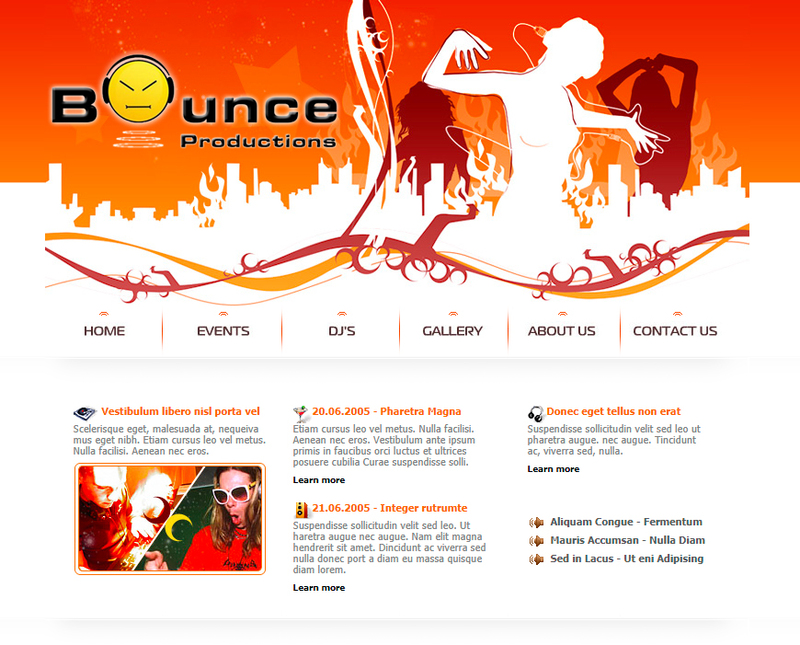 I think they have their place on websites in certain industries, such as websites for movies or rock bands. Unless visitors will expect a website in your industry to have a flash intro, I would avoid it. Sarah Kandlin is phunkd studio's. Having taught herself coding from scratch using the Windows text-editor notepad way back in 1997, she progressed from creating simple, static HTML pages to dynamic-content driven pages for numerous clients and new media studios. Currently freelancing / consulting, she loves the challenges each new project / client brings. Specialising in open-source technologies and wondering why anyone would use anything else? So, why choose phunkd studio's? in the new media industry. directly during the whole production process. - Love for what we do and pride ourselves on the quality of work produced. 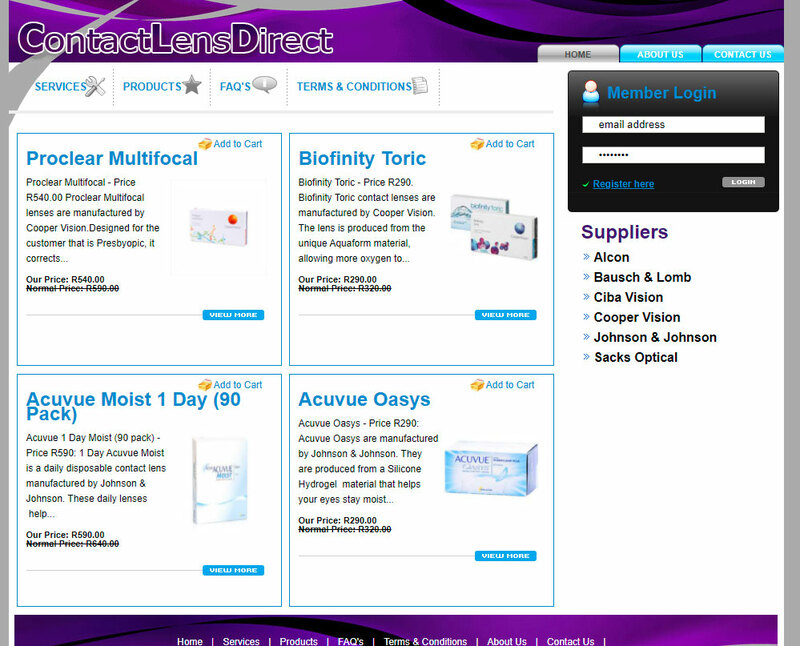 information on their sites themselves (reducing long-term management costs). - Professional service, with dynamic interaction to provide you with a media solutions online. - Whether you're a start-up or a well established business, we have a solution for you.